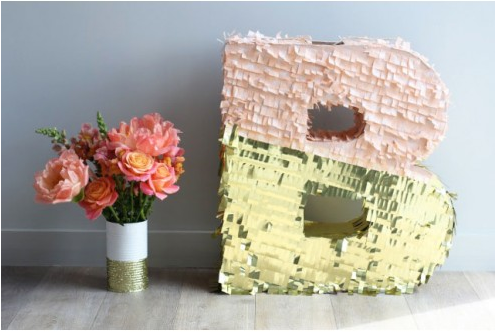 Want to make your wedding pinata even more on trend? 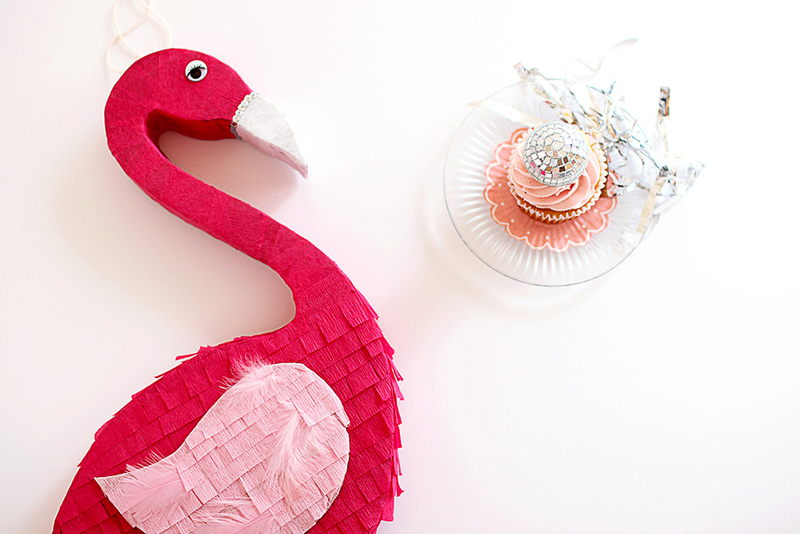 Then have a go at making this fun flamingo by Best Friends for Frosting. 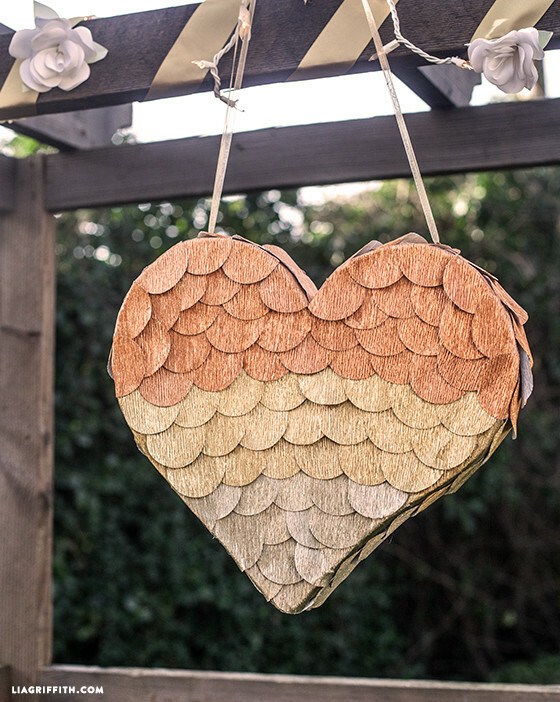 Lia Griffith is one of our favourite DIY crafters, and this metallic heart pinata is a beauty! 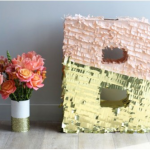 Make it from metallic crepe paper, which you can find in Hobbycraft. 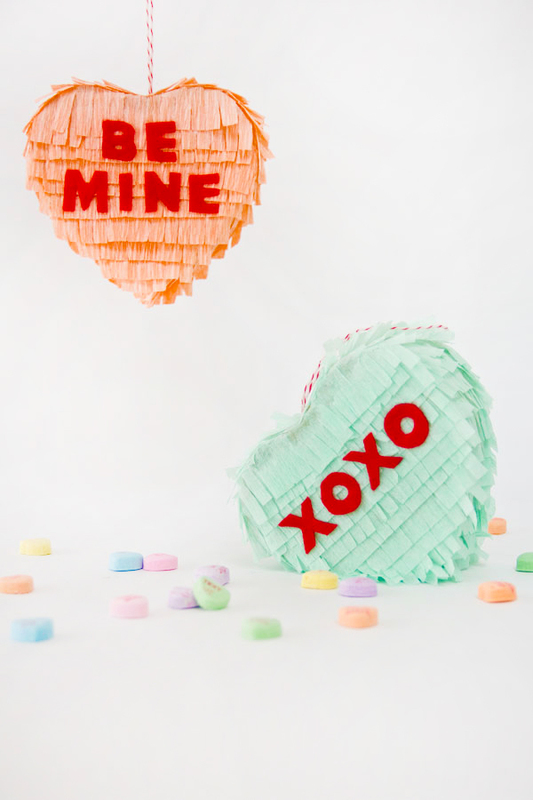 We can’t resist these fun pastel-hued pinatas with Love Heart-style messages spelled out on them. 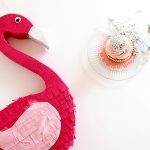 Find the tutorial to make them at the amazing Studio DIY blog. 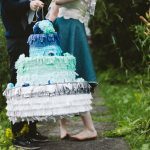 Crafter and designer Brittany Watson Jepsen takes over the Etsy blog to share how to make this impressive wedding cake pinata – make it in tissue paper to match your colour scheme. 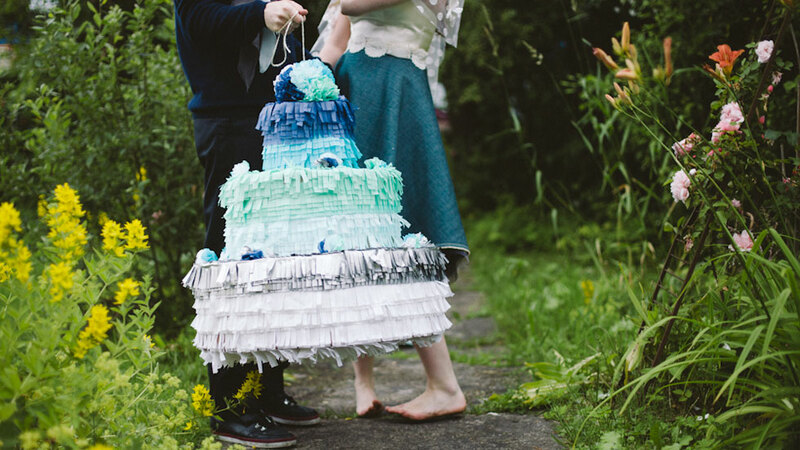 Want a wedding pinata but the thought of cutting lengths of tissue paper fringing sending you into a cold sweat? 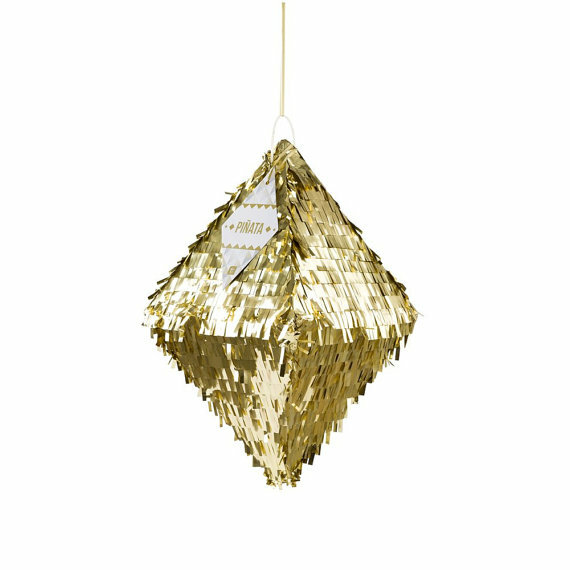 Then pick up this fun personalised pinata from Pea Green Boat. 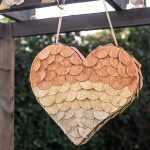 It’s not cheap at £110, but it can double up as a prop and will look great in photos. This simple but effective gold diamond pinata from Pipii is one of the cheapest ways to get the look if you’ve run out of time for wedding DIY. 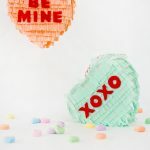 It comes in silver, too!